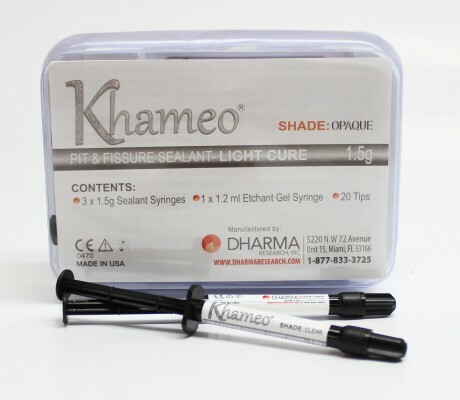 • Khameo is a light cured, radiopaque pit & fissure sealant. • Available Clear & Opaque. • It does not contain Bisphenol A, Bis-GMA and Bos-DMA. • It seals against microleakage. • No Bonding agents required. • Hydrophobicity – low water absorption assures resistance to staining and durability in the oral environment.